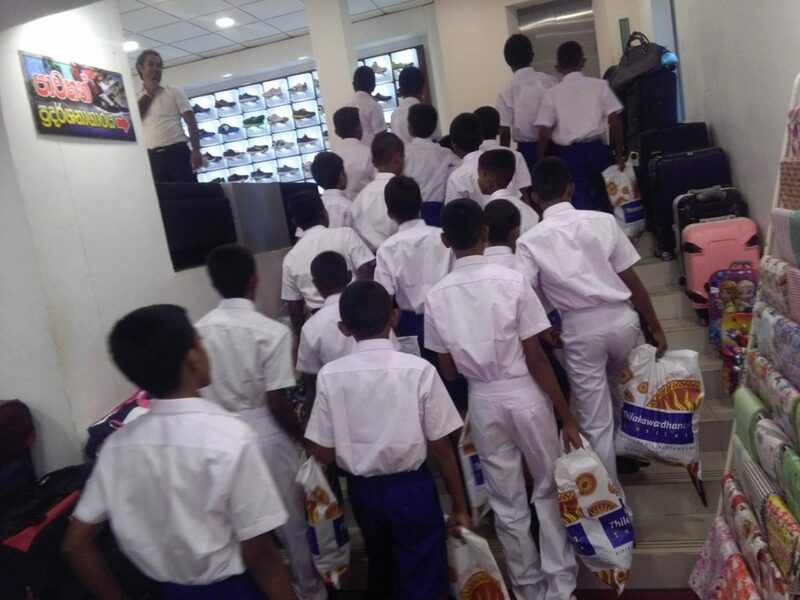 A large number of students in Sri Lanka became victims of the recent floods and land slides as a result of non-stop rain in May. Some of the students lost not only their study notes, but also their uniforms and shoes. Our initial attempt was to support them with the study notes, but it seemed that most of the individuals and organizations spend their invaluable time, labor and money to supply the students in need with study notes. So we at Akura decided to shift our focus to supply the students with school uniforms among other necessities. Although the government pledged to give uniform textiles, these students were still required to buy other necessaries such as shoes, socks and undergarments. After the floods subsided, students of Biyagama Central College returned to school in casual clothes. 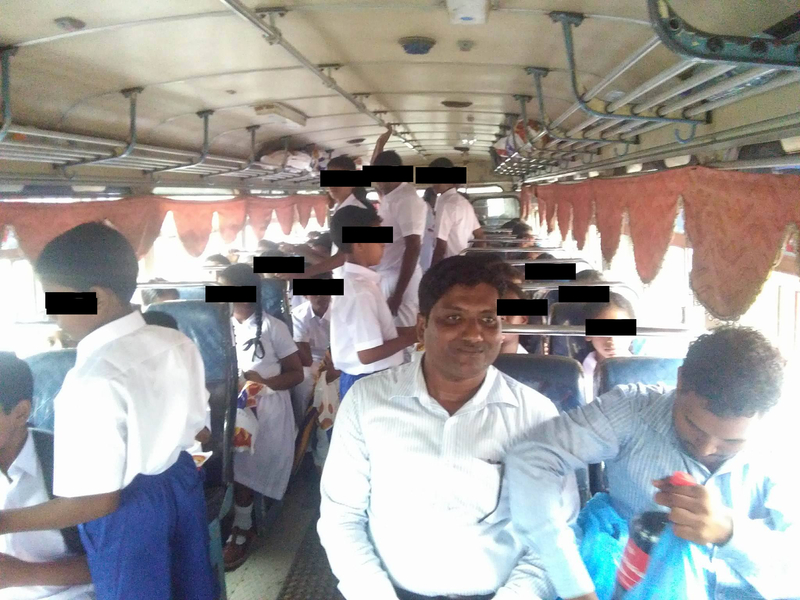 Akura arranged transport for all the students in casual clothing (a total of 63) to visit to Thilakawardhana Textile in Kiribathgoda Kiribathgoda accompanied by teachers where arrangements were made for them to receive necessary items for school uniforms. 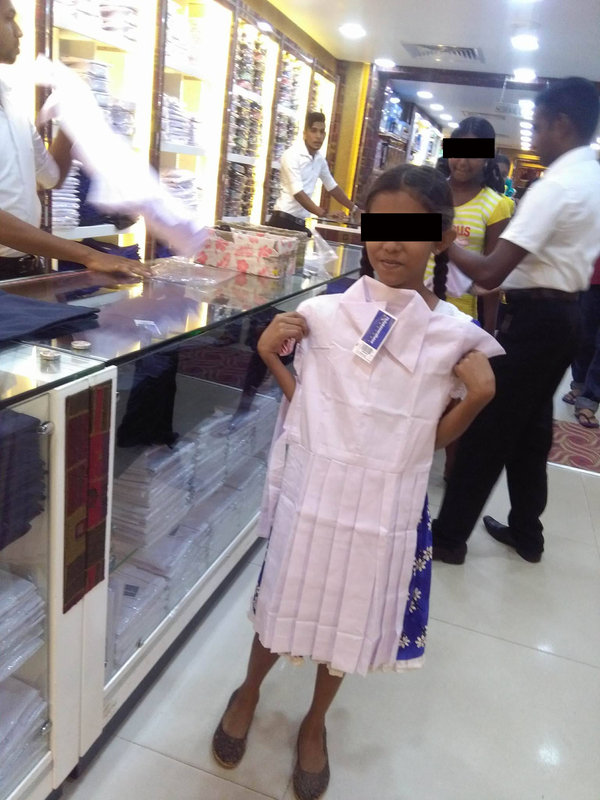 In earlier discussions with Thilakawardhana Textile, we realized that they did not have sufficient stocks for shoes.Hence we made arrangements with DI to provide shoes for students. TheThese arrangements were made so that the students would have an opportunity to obtain necessary school uniforms safely; accompanied by teachers. Proving money or gift vouchers would have added a burden on the parents having to take the children shopping while dealing with the hardships encountered by the flooding. 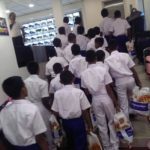 We were also hesitant to send these students shopping without guidance; hence having teachers accompany them provided safety as well as guidance to purchase the necessities. Furthermore, providing this assistance with minimal publicity helped the students have some normalcy in their lives with no undue attention to their plight. We recognized that the students in need are same as the other students in the school, the only difference is that they are affected by either the floods or landslides. 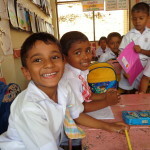 These actions by Akura helped the students to return to school with new uniforms. Moreover biscuits and soft drinks have been provided on the bus. As we expected, we turned the return trip into a joy-filled trip with songs and good memories. Akura we had a pleasure of helping more students at H.K. Dharmadasa School in, Peliyagoda. As per the principal of the school, the most urgent need of the students were undergarments. 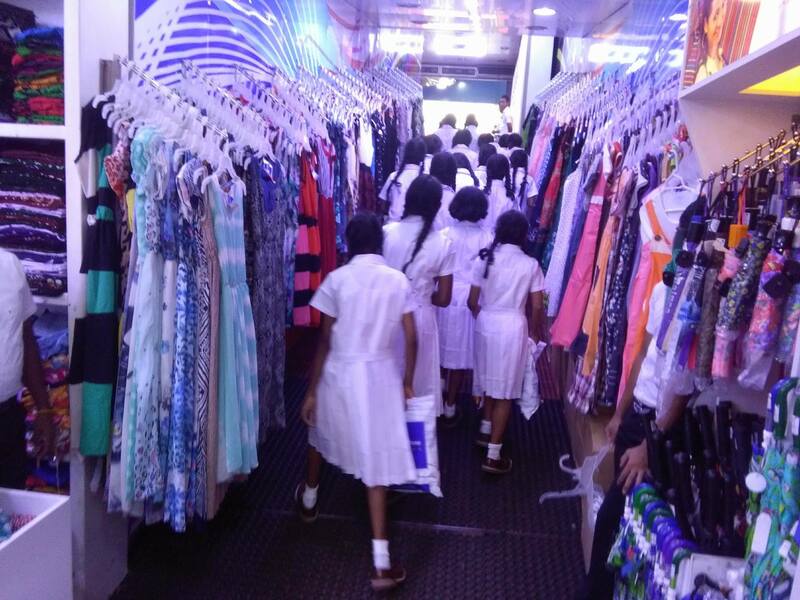 It was impractical for us to take 407 students out of the school to purchase the undergarments. Therefore, we bought the necessary items as per instructions from the school principal. In return Akura was provided with acknowledgement that these items were duly distributed to the students. We decided to share our experience since we thought that this would help other organizations to be of help to the country in future; though we wish that no such tragedy would ever fall upon our country again. With the finance support of 23 friends and with the support of the the principals and staffs of Biyagama Central College, Biyagama and H.K. Dharmadasa School in Peliyagoda, we helped total 470 students in need within a week (from 28th of May 2016 to 3rd of June 2016). We spent Rs. 294,148.20 and we raised total of Rs. 255,370.00, the donations were in the range of Rs. 1000.00 to Rs. 100,000.00 (As a policy we publish the names of the donors but not the amount of the donations). We have issued a receipt for all the donors. 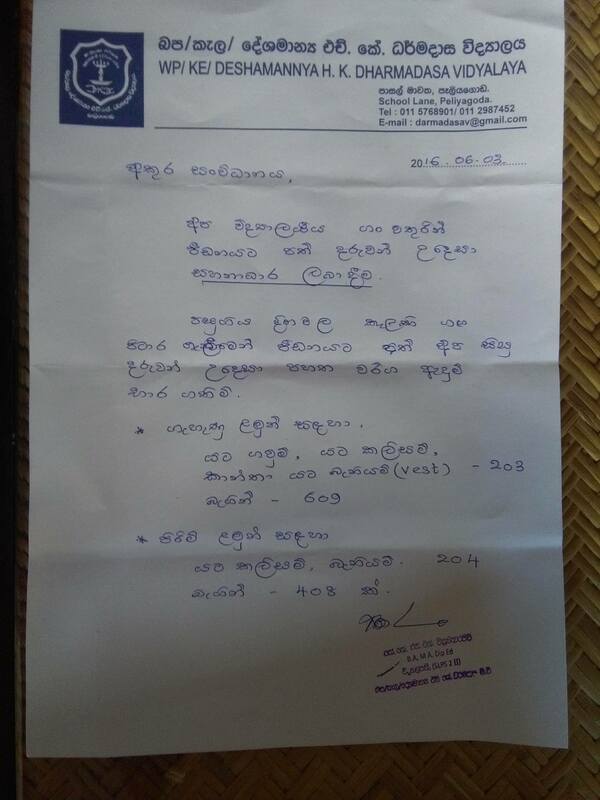 Appreciation Letter from the principal of H.K. Dharmadasa School, Peliyagoda. This is a note to thanks everyone who helped us, friends who support financially, Principles in the schools & Teachers with Mr. Lakshman Thilakarathna and rest of who support in various ways ! Its a very meritorious act. 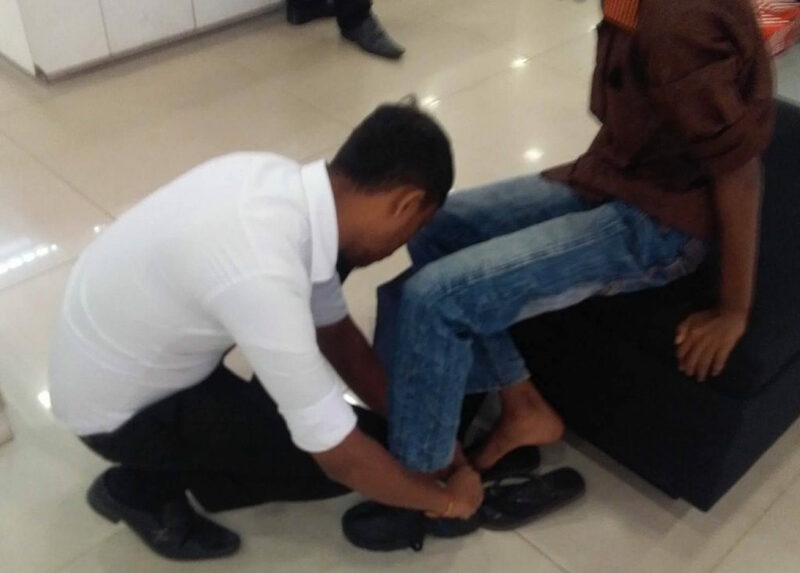 Helping people in need is something all us must do as one day we can be in the same shoes.